Hello, my name is Clémentine and I’m from Blois in the center of France. 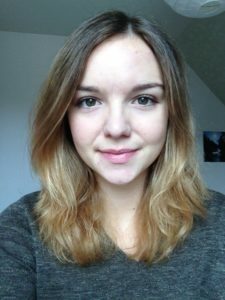 I decided to go on EVS because I wanted to go abroad for a year and get some work experience. I am thinking of becoming a teacher after my studies so this EVS in particular was perfect for me, as I’m working most of the time in a school where I help the pupils especially in English. Also, this year was for me the right time to do something different as I just have one more year to do to finish my masters degree in Applied Foreign Languages so it is like a “break” from uni. Regarding my expectations, I hope this experience as a teacher assistant will help me decide if I want to become a teacher or not. More than a normal job, an EVS is a great opportunity to travel and I am looking forward to getting to know Slovenia in terms of culture, language (I’ll give it a try!) and to visit the country and other parts of Eastern Europe. I also think it will be a very interesting human experience as I am constantly meeting new people from different countries and backgrounds, so I will be able to learn from them.